This shopaholic is skipping the stores this Black Friday! I love shopping but I hate crowds! When I shop I like to be able to leisurely walk around, trying on a few things here and a few more there. I also do not like standing in long lines to check out, but I don’t think anyone really does. Black Friday has never appealed to me. I will admit I have never really participated in Black Friday, so my opinion is based on stories from friends and what I see on TV. Even throughout the year, I prefer to shop on weekdays during lunch or first thing in the morning on weekends to avoid crowds. During the holidays, the crowds are crazy regardless so all my in-store shopping will probably be done right when the mall opens! I have found in past experience this is the best time to shop. The bonus you can usually get prime parking! 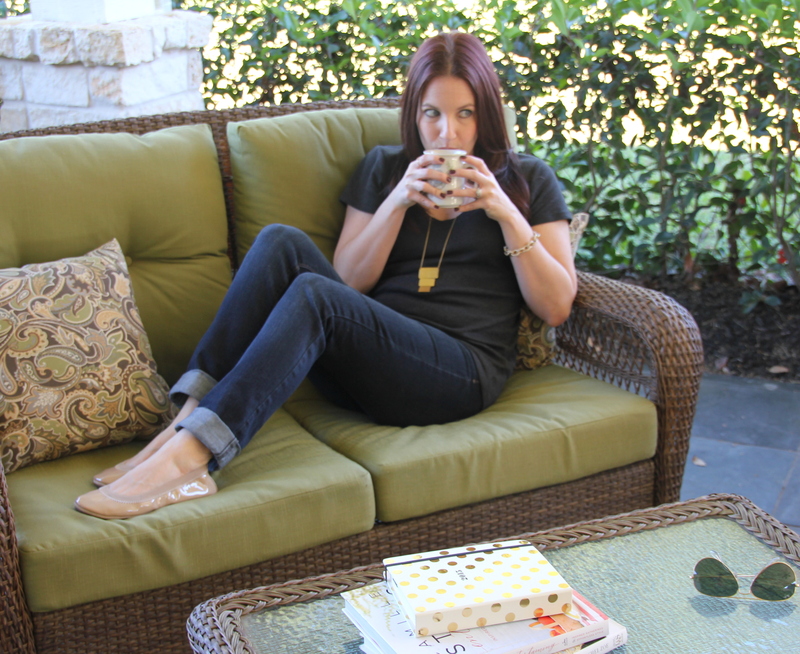 Black Friday for me is all about relaxing, enjoying the extra day off from work,and gearing up for Cyber Monday! Okay, I will probably also do a little online Black Friday shopping. I can’t help myself, I love a good sale! I am planning on doing most of my shopping online this year. I want to have everything ordered this coming week to avoid any shipping issues. I have posted a few online Black Friday sales below that are to good to pass up! Monday’s blog post will be solely dedicated to all the amazing sales and deals I come across for Cyber Monday. I will be updating throughout the day so be sure to check back throughout the day on Monday for the latest offers! 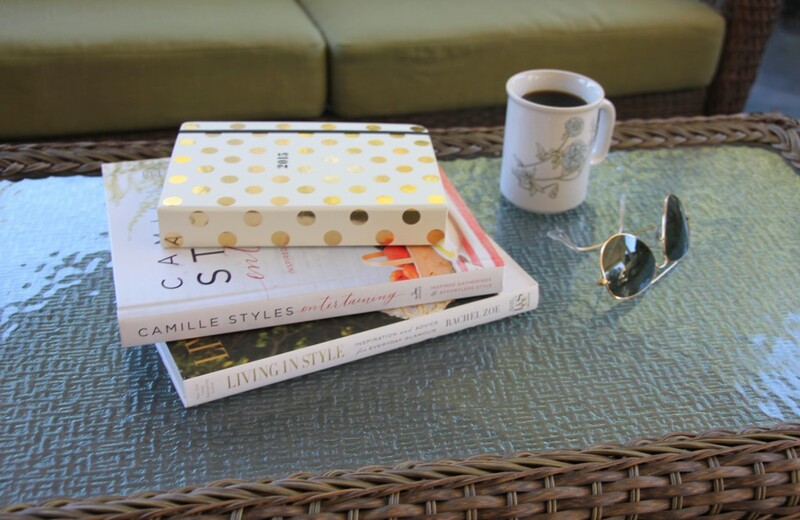 Until then, I am going to get back to reading my newest purchase, Camille Styles Entertaining. If you are hosting any holiday parties this year, this book has some really great party planning ideas and tips! 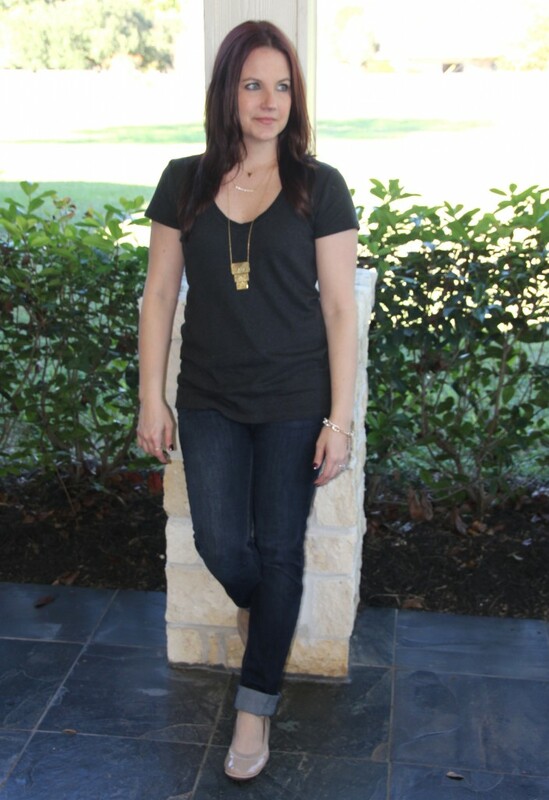 Also, if you are looking for a comfy T-Shirt to lounge around in while online shopping, this Banana Republic Timeless Tee is awesome! The material is soft with a little stretch. 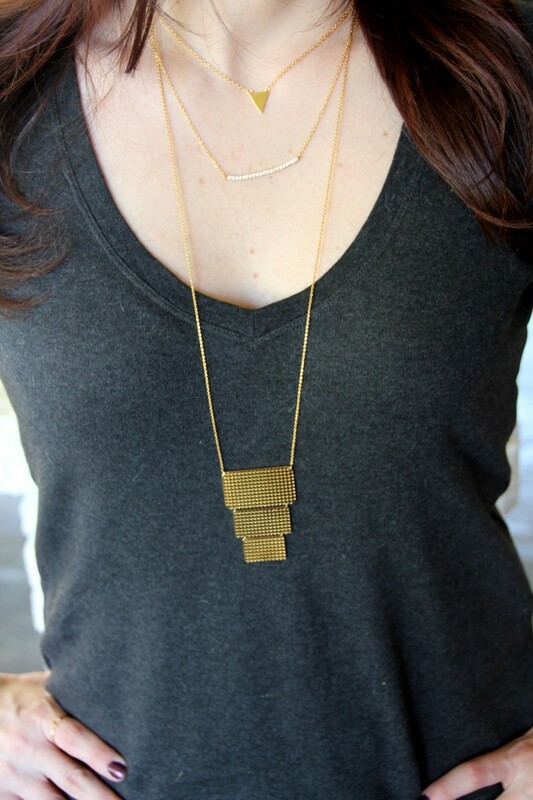 This top is one of my go to tees when I have to run out on a quick errand on weekends! Don’t forget to shop local this Saturday for SMALL BUSINESS SATURDAY. I have also included some of my favorite small businesses with great sales in the below Black Friday list! Men are always the hardest to shop for in my opinion. If I ask a man what he wants or needs, I usually do not get much of a response. For the men in my life, I usually resort to taking notes throughout the year of what I think they need. The easiest thing for me to buy a guy is something sports related! Autographed sports paraphernalia and jerseys or hats from their favorite team always go over well. Do they have a hobby or play a sport? You can look into accessories for that sport like balls or golf tees that they have to keep replenishing. Even tickets to a sporting event or a day at the golf range are great ideas for the man who has everything. I have also included some non-sport gift ideas too. I like to pair gifts together. If giving whiskey glasses, I might include a nice bottle of whiskey to go with it. If purchasing headphones, add an iTunes giftcard. If all else fails, I can never go wrong giving my dad a gift card to his favorite BBQ restaurant! Have any other gift ideas for him? Leave your ideas in the comment section! I love a short work week! Only three work days for me this holiday week, so I am wearing a cardigan sweater with a little added sparkle to keep me in my holiday mood! I am a sucker for sequins and sparkly add-ons to any outfit, and I love the buttons on this cardigan! 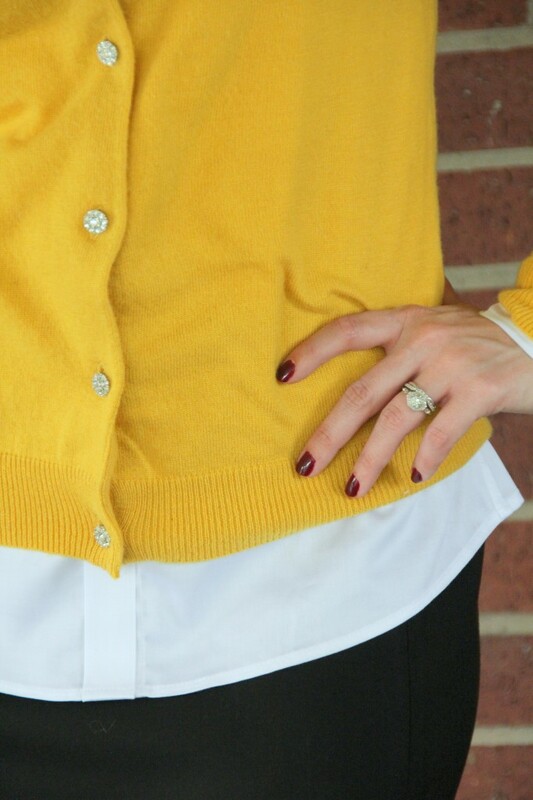 I tend to wear quite a bit of black, so I usually try to pick up a few colorful layering pieces like cardigan sweaters to add a pop of color and brighten up my outfit. 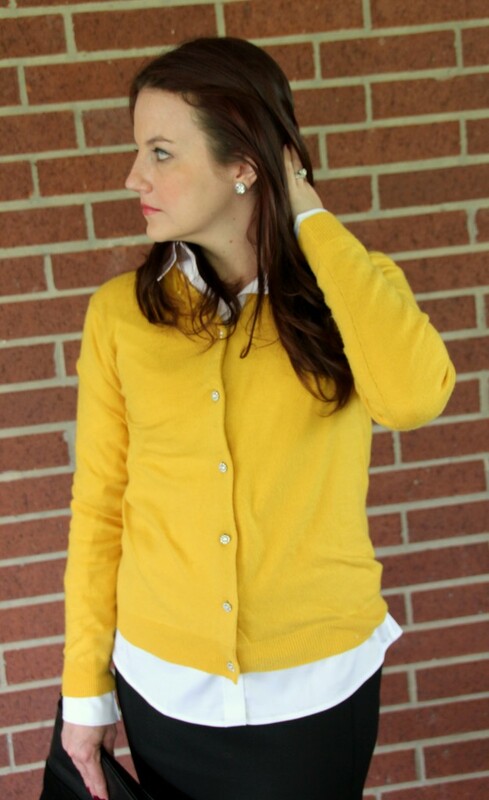 The sparkly buttons on this cardigan will also make it perfect to wear to holiday gatherings! 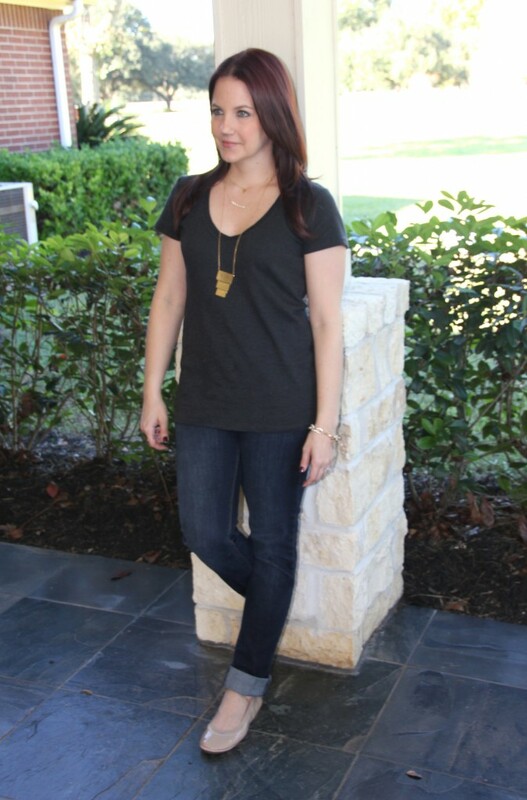 You can easily throw on some black skinny jeans and a black and white top to create a more casual look. Cardigans are also a great way to get a few extra wears out of your warmer weather sleeveless dresses! 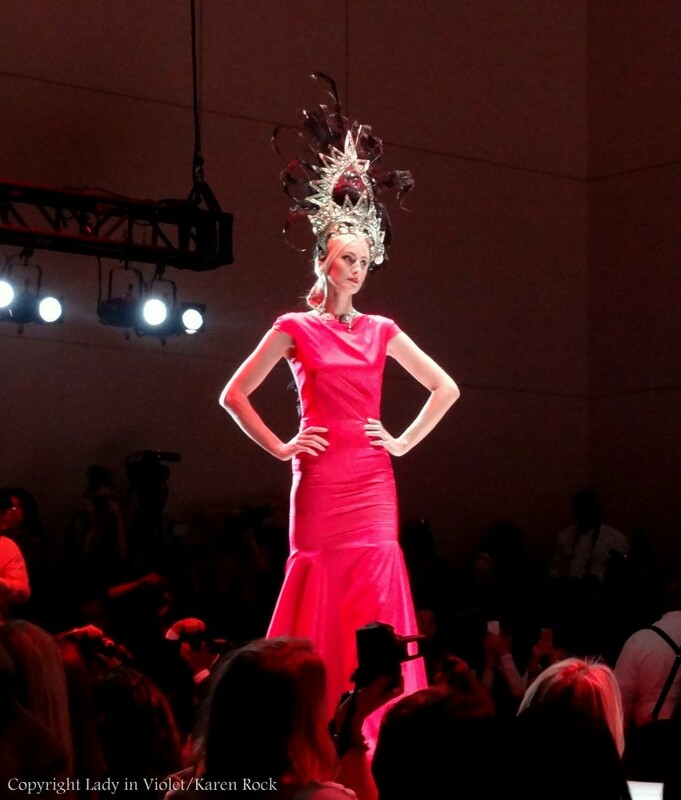 Last week was filled with runway shows galore, as Fashion Houston celebrated its 5th anniversary with four nights of amazing designer fashions. 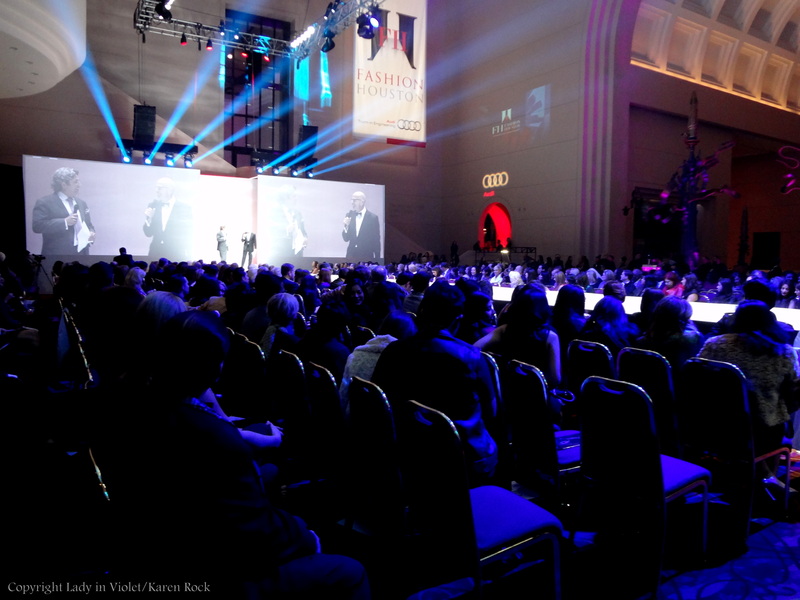 For anyone wondering what attending Fashion Houston is like, I put together a post today all about my experience at the event. I attended three of the four night this year! 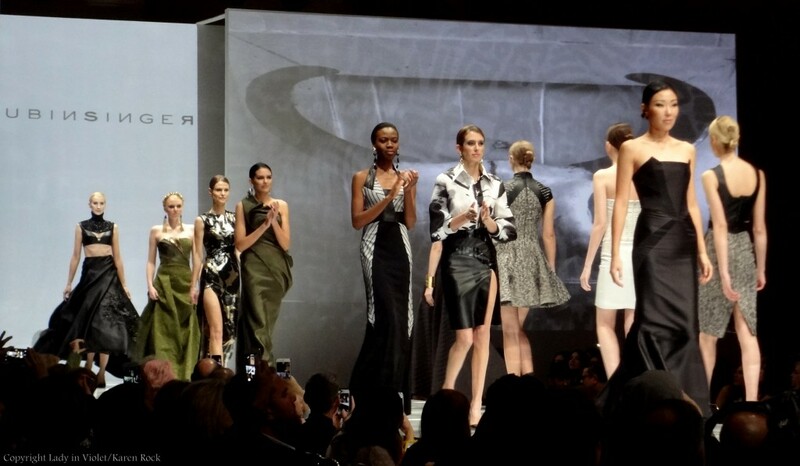 All the shows were amazing and inspired some great ideas for my spring wardrobe. 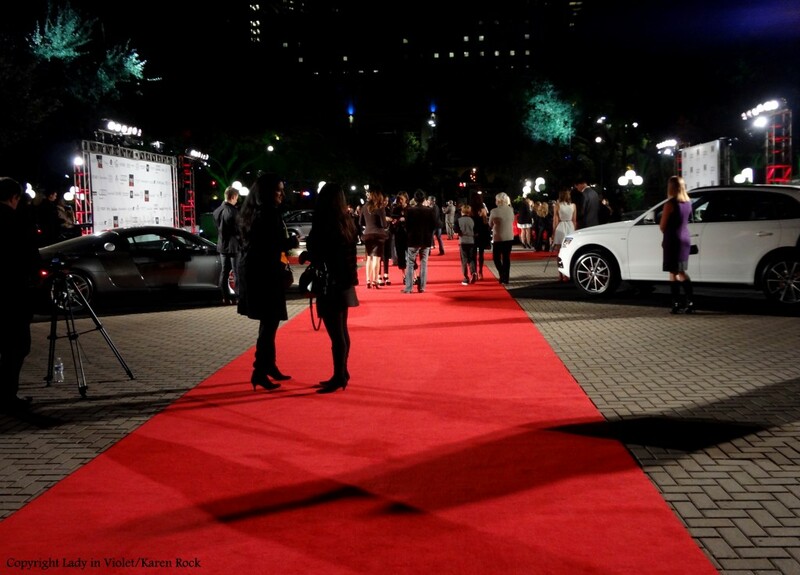 The event is held at the Wortham Theater in downtown Houston. The theater is also the home of the Houston Ballet. 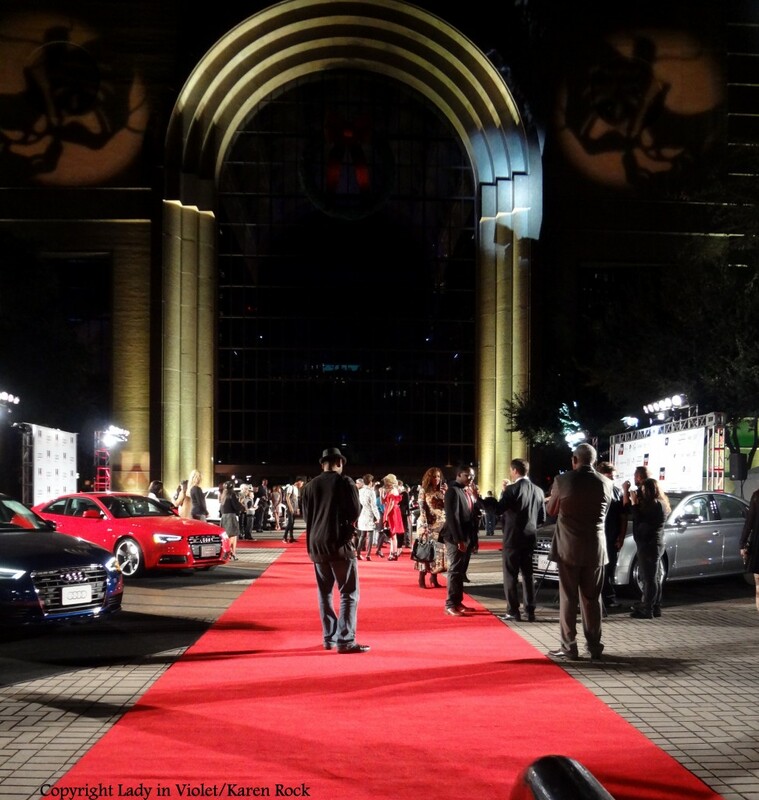 Red Carpet festivites started the night out with samples from Liqs Beverages, photo opportunities, celebrity sightings, and a sneak peek at a few of the latest Audi vehicles. 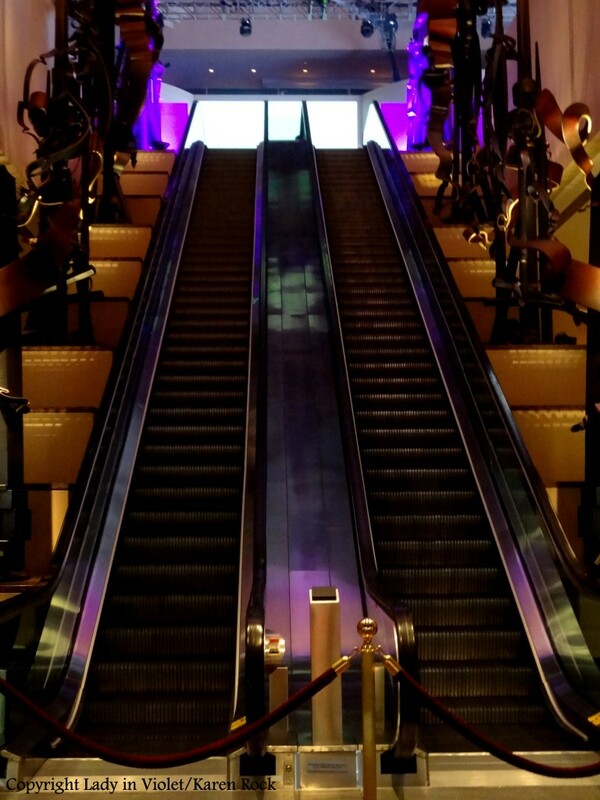 The glitz and glam of the runway awaits just up the escalator. 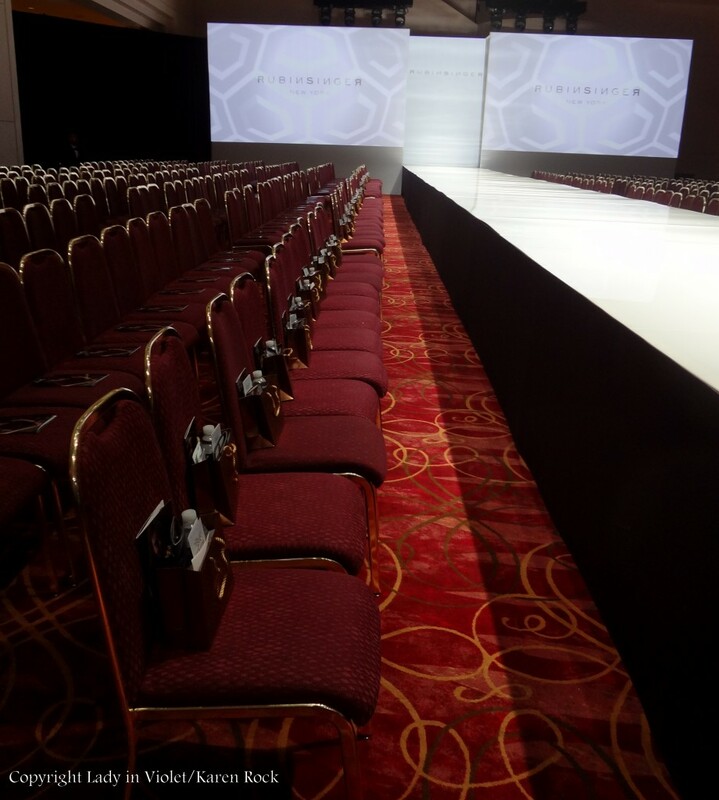 I arrived a bit early one night and was able to snap some pictures of the event space before the crowds filled in. Lights, Camera, Action! 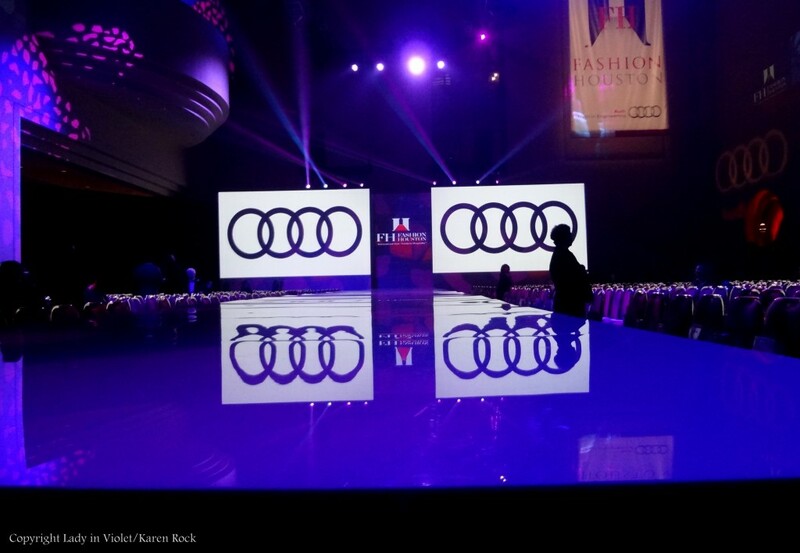 It is time to get this fashion party started! 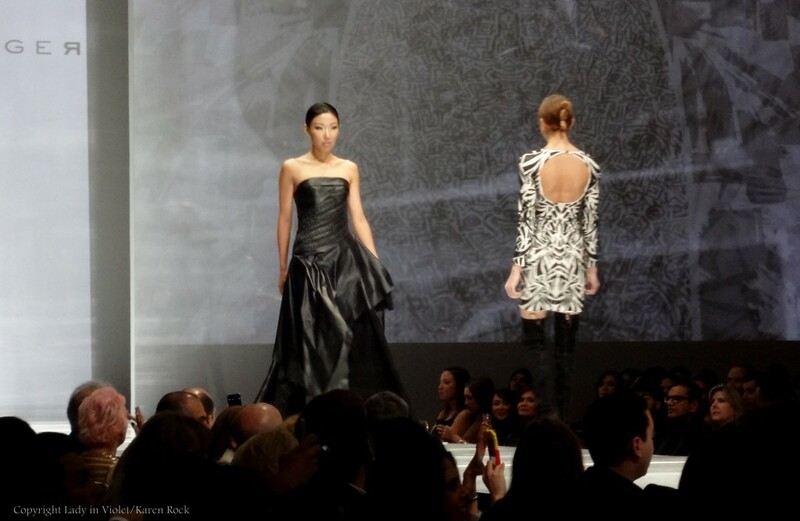 Alexis Monsanto amazed with a runway show filled with gorgeous dresses and amazing theatrical quality. 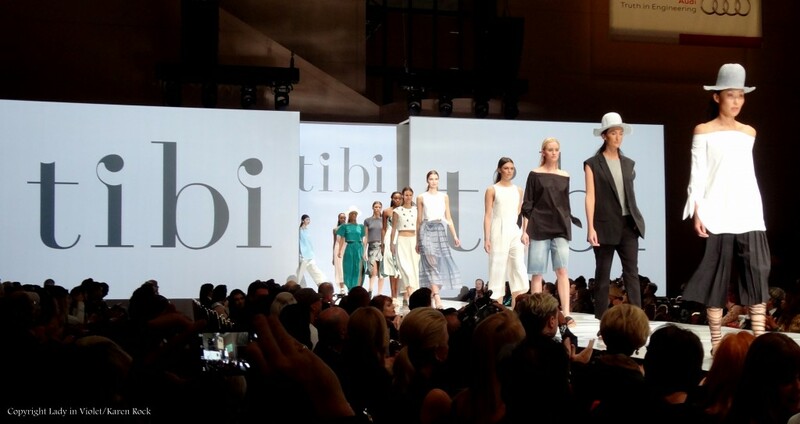 One of my favorites, Tibi, showcased her Spring 2015 collection. 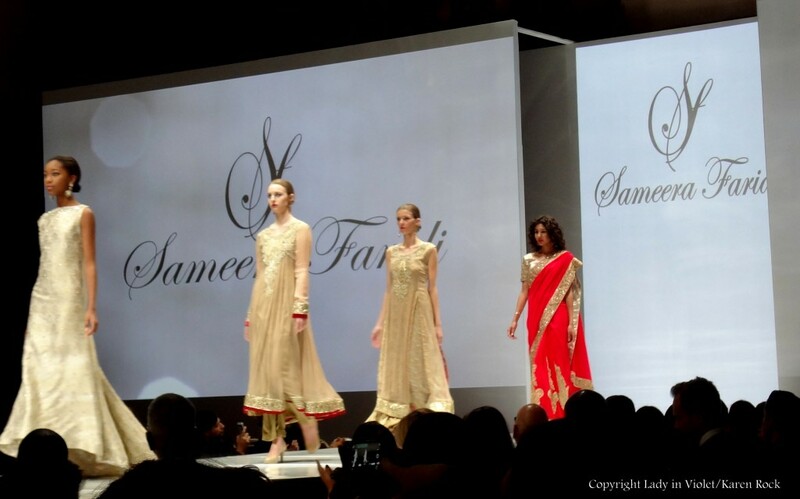 Local designer Sameera Faridi showcased the beautiful detail work of her Spring 2015 line. 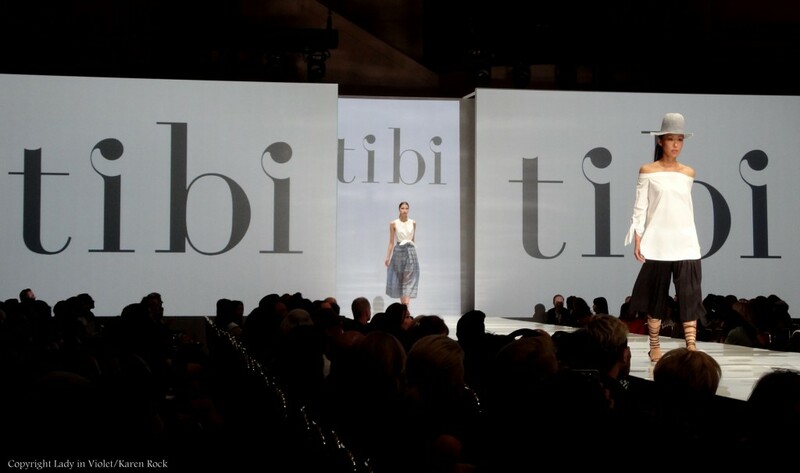 Several Art Institute students took to the runway this year to show off their talents with a 5 look show. 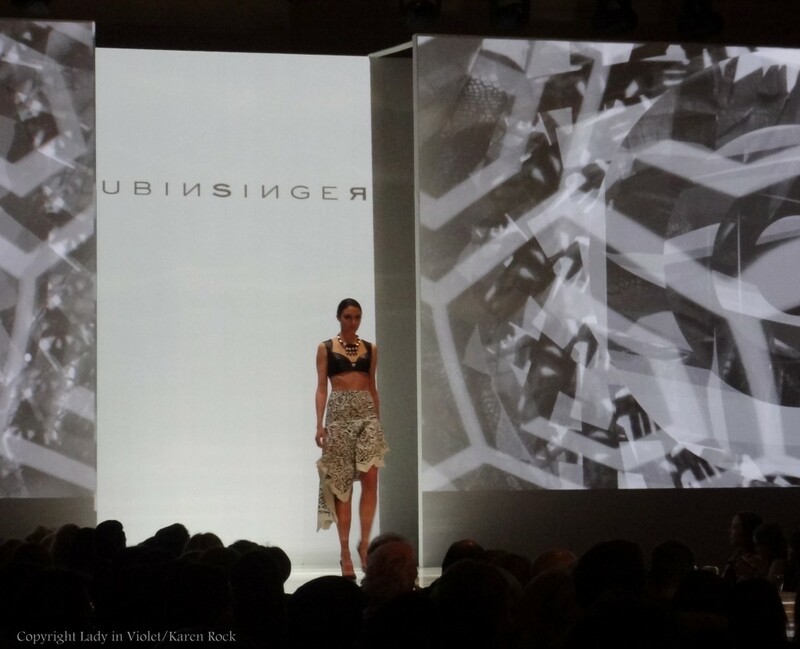 The fabulous Rubin Singer showed a tribal themed show. 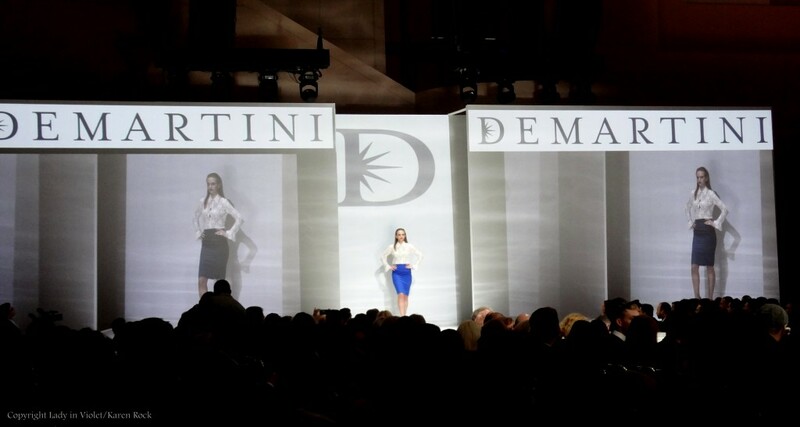 One of my favorites of the week, I wanted everything on the runway! 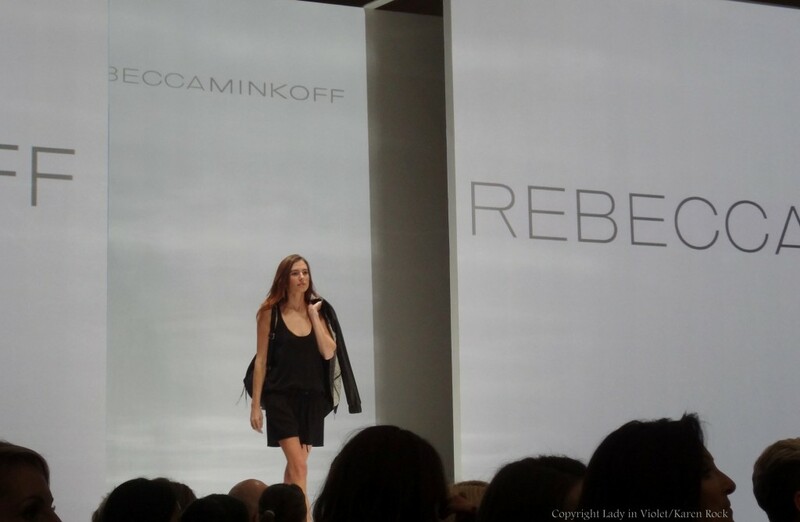 Rebecca Minkoff took to the stage showing her Spring 2015 line along side her handbags. 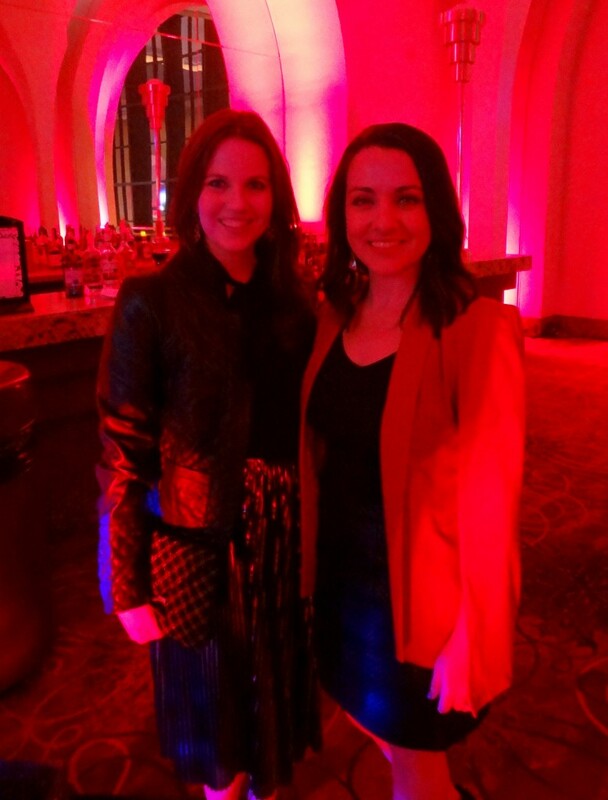 My fashion partner in crime, Kelley Brege of Chic Domestic, and I were so busy snapping photos of all the amazing fashion, we almost forgot to grab one of ourselves! 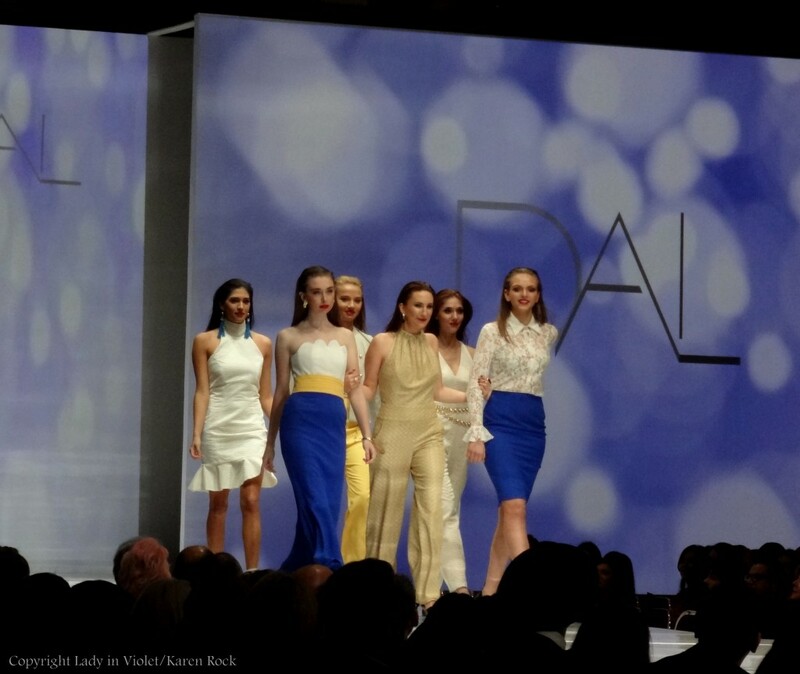 We had such a great time at Fashion Houston this year! We are already ready for next year’s show! 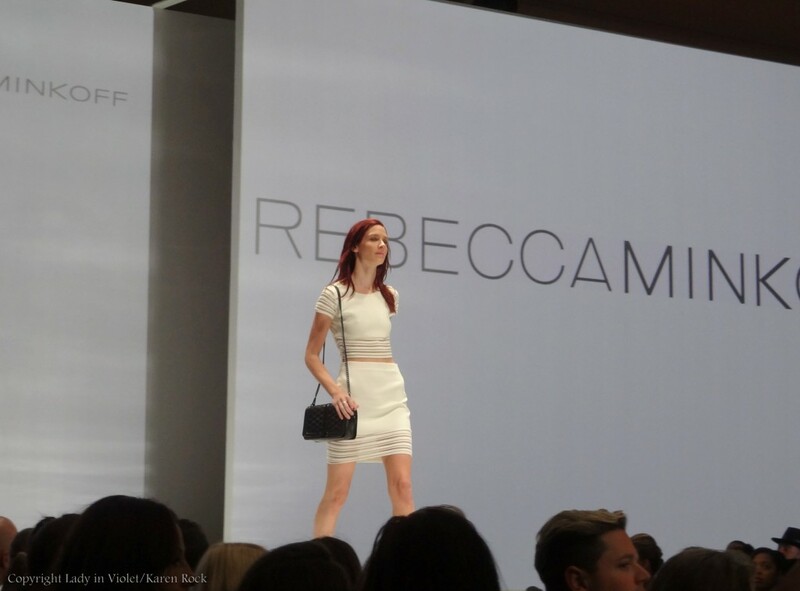 Want to read about my Fashion Houston outfits, read the posts HERE and HERE! All photos in this post taken by me, except the last one which was taken by a friend.